Want to easily add more storage or other devices to your Android mini computer? In addition to built-in USB port and memory card slot, the following Measy U2C-D Android mini PC holder may also be a nice solution. This is an innovative and practical mini computer holder that measures approx 120 x 57 x 57mm and weights 80g. 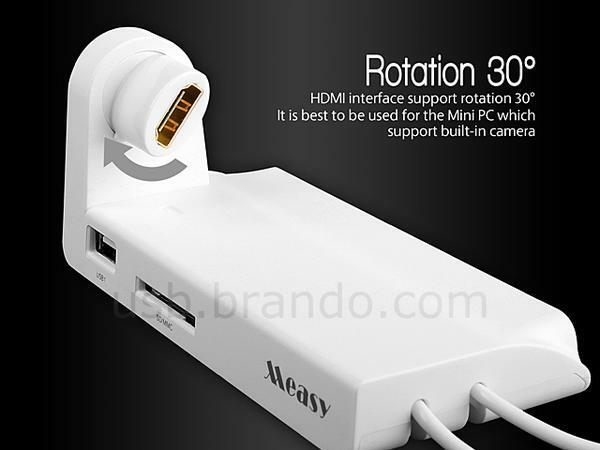 As we can see from the images, the mini PC holder features compact design, and comes with a lateral and rotatable connector in order to fit various thumb-styled Android mini computers, and you can also conveniently rotate your mini PC with built-in camera for video chat. 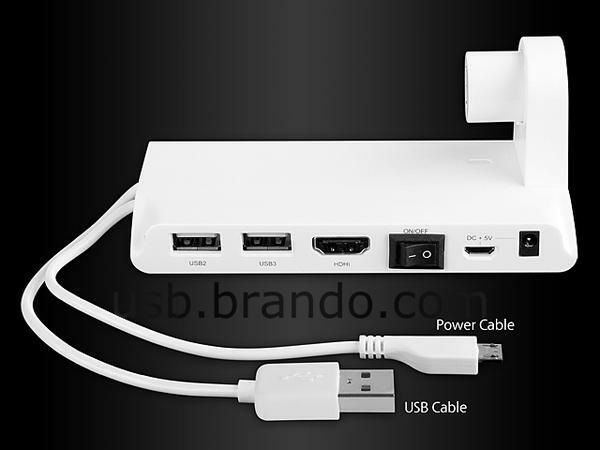 Moreover, the mini computer holder also features 3 USB ports and a SD/MMC card slot so you can also easily connect it with external storage devices or other USB devices, while using HDMI port the holder allows you to connect it with your HDTV. 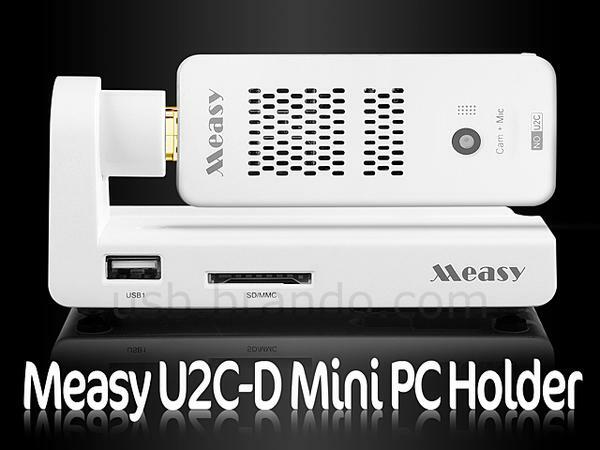 The Measy U2C-D mini PC holder is priced at $20 USD. If you’re interested, jump to Brando online store for more details.